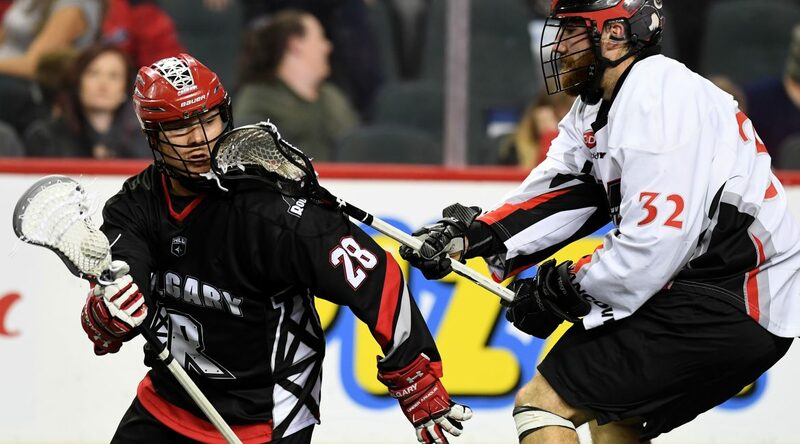 In front of a raucous 12,857 fans, the Roughnecks put on an offensive clinic in their recent pre-season tilt, crushing the visiting Vancouver Stealth a 13-5 win . We’ve talked about it quite a bit already this pre-season, but speed in the transition game is going to be a big part of the Roughnecks game this season. It was on full display on Saturday, as the defence led the charge down the floor on multiple occasions, accounting for four goals and a number of other great scoring chances. There were quite a few opportunities where the defence simply out-ran opposing defenders/forwards down the floor, creating odd-man chances simply due to their speed. It’s going to be fun to watch this group run wild this season. On the Roughnecks very first offensive shift, rookie Tyler Pace rifled a shot over the left shoulder of Eric Penney, setting a tone for the night. Youngsters Steph Charbonneau, Vaughn Harris, and Ryan Martel each contributed a goal in the win. On offence, Harris and Martel looked right at home and they were extremely aggressive on loose balls, also forcing a number of turnovers to give the offence second chances, which led to goals. If they can keep improving as the season continues, they will be very impactful members of the Riggers squad. This is an easy one. When you only give up one goal in the first half and just another four in the second half, your goaltending is playing very well. Granted, some of the credit goes to the fantastic defence the Roughnecks were playing, but Frank Scigliano and Christian Del Bianco were both making huge saves and looking strong in the crease. This young duo will look to take a step up from last year and form one of the best tandems in the entire league. For a pre-season game, the fans still came out in droves. In fact, the nearly 13,000 person crowd set a pre-season record for attendance. The rookies, some of whom have never played in front of that many people, were in awe of the amazing support. The crowd was loud, into the game, and definitely had an impact on the outcome. The only downside to everyone playing well in your final pre-season game is how hard it makes roster decisions for general manager Mike Board and the coaching staff. With five rookies aiming to earn jobs on the roster, this year’s version of the club could have a much different look. Final rosters will be announced on Nov. 24 so stay tuned to see how the Roughnecks roster shapes up.